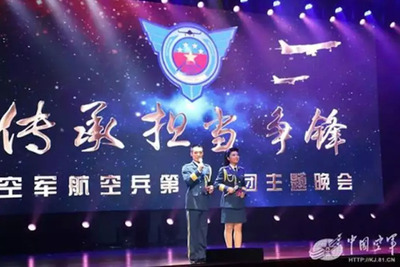 People’s Liberation Army Air ForceTwo Chinese service members speak at a strategic bomber gala with a possible silhouette of the H-20 bomber above them. Chinese media reported on Monday that Beijing would unveil its H-20 nuclear stealth bomber next year during the 70th anniversary of the People’s Liberation Army Air Force (PLAAF). But the reports have not been officially confirmed by the Chinese military. These reports came after a “morale-boosting gala” held by China’s strategic bomber division in which “the silhouette of a mysterious aircraft appeared” in a logo displayed on a big screen. Chinese media reported on Monday that Beijing would unveil its H-20 nuclear stealth bomber next year during a parade marking the 70th anniversary of the People’s Liberation Army Air Force (PLAAF). But the reports have not been officially confirmed by the Chinese military, according to Defence Blog, which first spotted the Chinese media articles. These reports came after a Global Times article last week that quoted a Chinese military analyst saying the H-20, or Hong-20, would soon make its maiden flight. 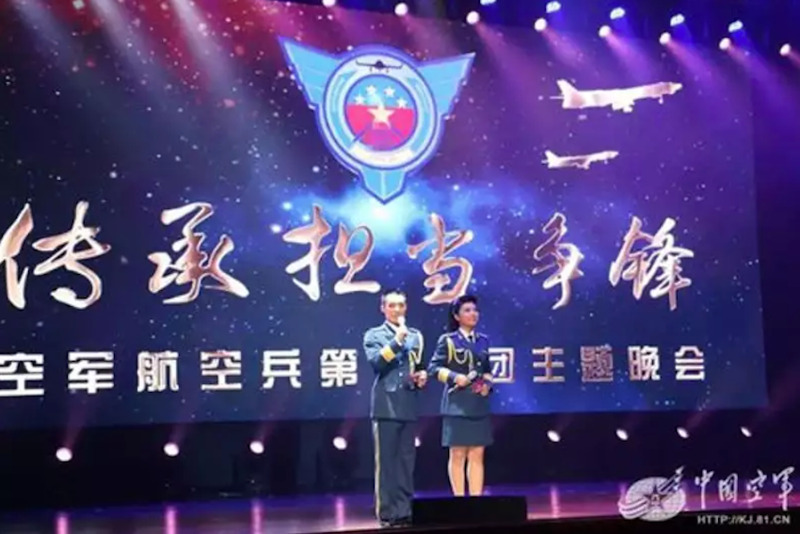 Two days before that article, the Global Times also released a report about a “morale-boosting gala” held by China’s strategic bomber division in which “the silhouette of a mysterious aircraft appeared” in a logo displayed on a big screen, Defence Blog reported. As the Global Times notes, the bomber silhouette has “angled winglets” unlike China’s known H-6 bomber. 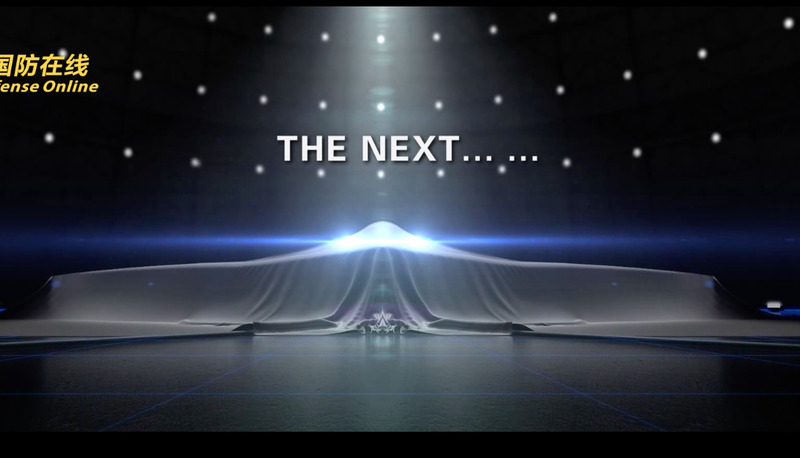 China may have also teased the Hong-20 back in May, when it released a possible video of the bomber under a sheet, which looked eerily like a B-21 Raider. 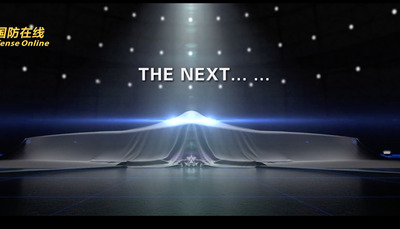 Screenshot/China Defence OnlineA screenshot of a video China released in May possibly teasing the H-20. The Hong-20 is often compared to the US’s B-2 stealth bomber, but its specifications are still relatively unknown. The Hong-20 will also probably carry CJ-10K air-launched cruise missiles, have a range of 5,000 miles and a 10 ton payload, The War Zone previously reported. The Asia Times, citing a previous Global Times article, previously reported that Fu Qianshao, a Chinese aviation pundit, said the goal was for the Hong-20 to have about a 7,500 mile range and a 20-ton payload. While the latter estimates may very well be exaggerated, The War Zone reported that a range of 5,000 miles would certainly bolster Beijing’s territorial claims in the South China Sea, and pose a threat to Taiwan and even US aircraft carriers in the Pacific.